The Browns will release their best player on monday quite sure every WR weak team will come calling what will Cleveland ask for in return. dal4018 wrote: The Browns will release their best player on monday quite sure every WR weak team will come calling what will Cleveland ask for in return. If they flat out release him,nothing. He is not released yet, they are trying to trade him. Ease up. 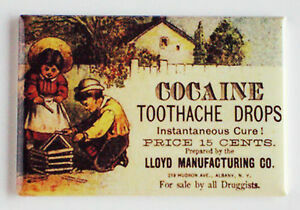 He had a toothache. css75 wrote: He is not released yet, they are trying to trade him. There are three teams interested in his services N.E. DALLAS,SF BUT WITH HIS TALENT OTHERS WILL COME CALLING. That is a perfect spot for him. He either gets it together or he is gone. css75 wrote: That is a perfect spot for him. He either gets it together or he is gone. GORDON caught Brady's 500 th career td pass yesterday. Who is in the NFL record books as the only WR with BACK to BACK GAMES OF 200 yds!!!! dal4018 wrote: Who is in the NFL record books as the only WR with BACK to BACK GAMES OF 200 yds!!! !